When is it time to ADD ANOTHER SIGN? 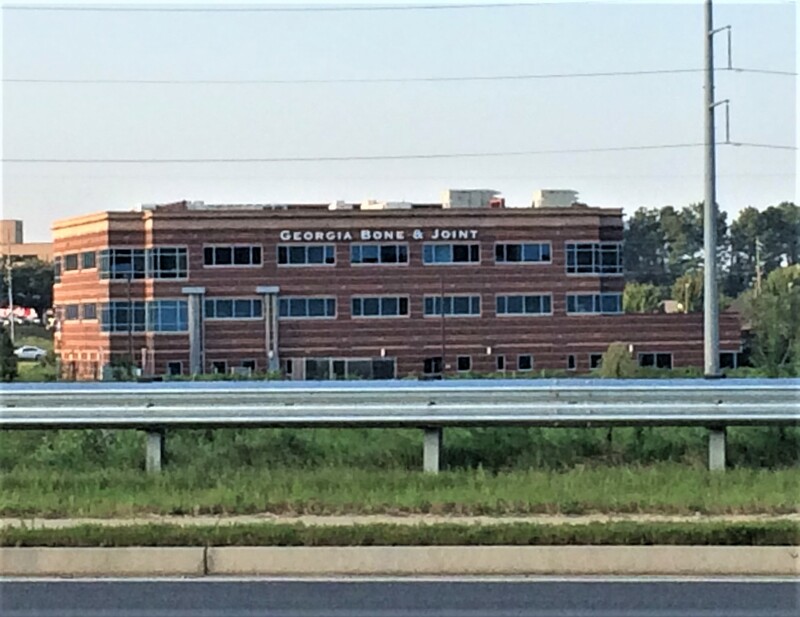 Georgia Bone and Joint http://www.georgiabonepc.com/ is in an office building with a number of tenants specializing in orthopedic care. Their large office building was relatively unmarked from the outside, making it difficult for customers to find them and determine which building entrance to use. In 2010, they contacted Signs and More, Inc to help rectify that problem. Signs and More recommended large channel letters on the front of the building, directory signs with reference to building letters, large building letters and inside directory and suite signs. 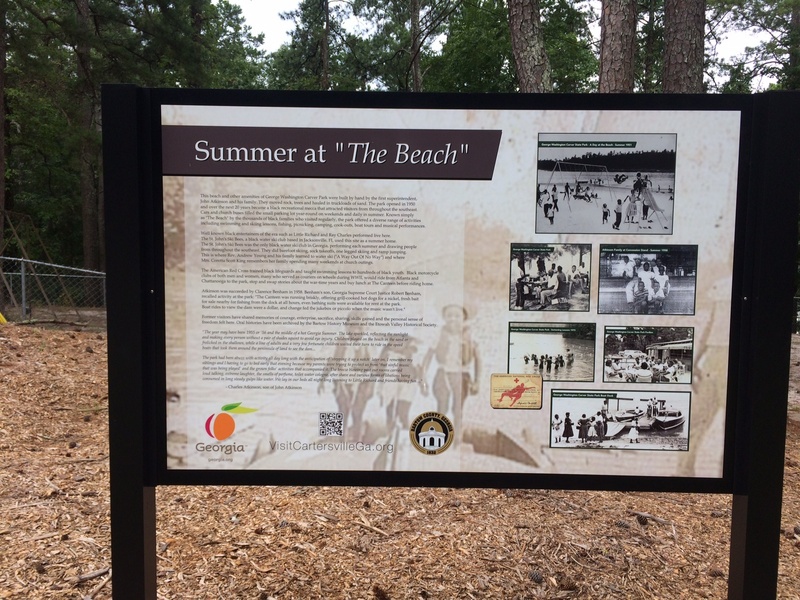 Interpretive Signs - What are they? So you have a location that needs a sign to tell visitors a story - historical information, educational lessons, company goals, etc. What do you call these signs? How do you arrange to get info about them? A landscaping truck is full of advertising possibilities! It is a shame to ever see a landscape truck that is bare. 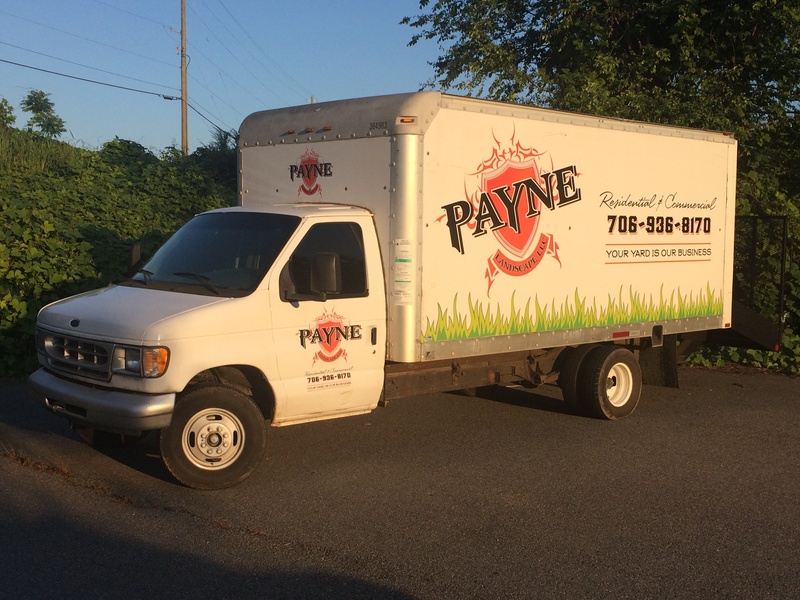 Recently, Payne Landscaping approached Signs and More to decal their truck. They gave us their logo and some ideas of what information to include on the truck. We provided the design and pricing. 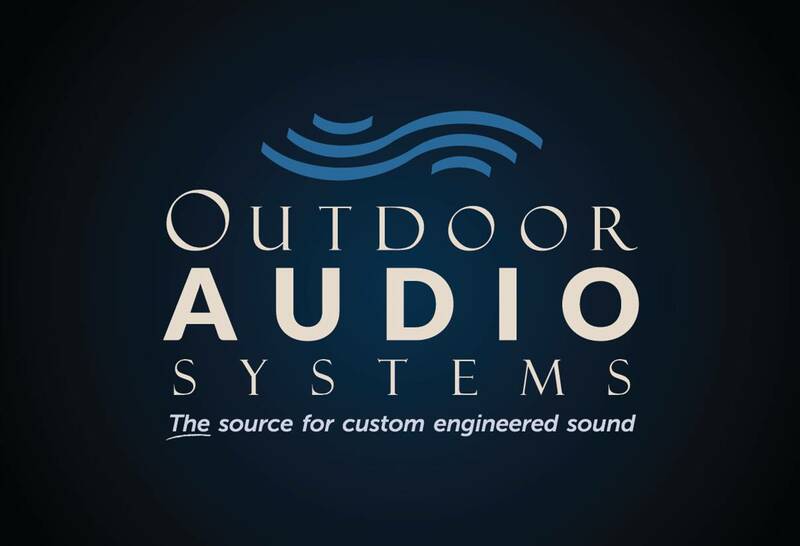 After the customer approved the design, he scheduled an appointment for his truck to be decaled. We understand the value of a landscape truck and made sure to get it done in one day. Days out of service for a service truck are not a good thing! Midway Presbyterian Church in Powder Springs, GA was founded in 1850. The sanctuary, built in 1905 is still part of the church. 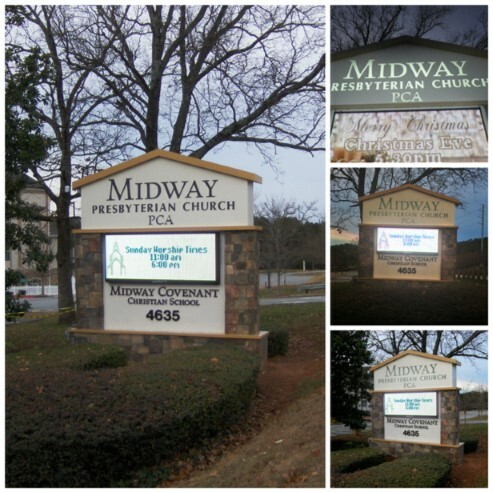 In 2009, Midway constructed a new sanctuary along with a new Fellowship Hall that made the church look outstanding. A few years later, they decided their monument sign needed a makeover. 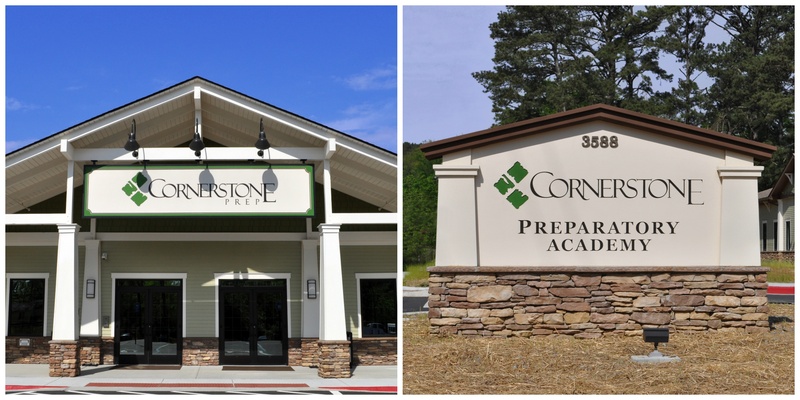 The Cornerstone Preparatory Academy (CPA) is a unique educational University-Model® school, which is designed to bring together the best attributes of traditional public and private schools as well as independent study and integrate them into one model. They first opened their doors in August 2004. The school was so successful CPA found it needed a much larger space. They decided on a location off Hickory Grove Road in Acworth, Georgia. 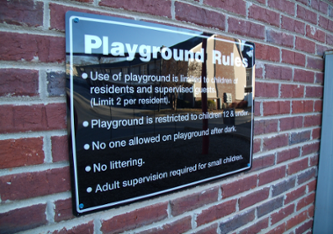 Signs and More, Inc. is a full-service custom sign, banner and vehicle graphics manufacturing company in metro Atlanta. “We can satisfy all indoor and outdoor signage needs.” That was never more accurate than on the CPA project. After the architectural plans were finalized, our team at Signs and More, Inc. met with R Design Works of Kennesaw, GA and CCL Associates of Roswell, GA to review drawings, specs, logos, colors and material. Coming in on this project in the early stages was a real treat for us. We embraced the craftsman style look and feel of this newly designed campus in our signs, coming in well under CPA’s signage budget. Who Needs Graphic Designers When You Have Skilled Graphic Artists? Our Graphic Artists Can Help with New Logo Design! You already know that doing business with a full-service sign shop is a huge advantage for the company that likes to save money. When staying on budget is one of your top priorities, it makes sense that finding a group of professionals who can help you with all facets of signage design is a necessity. Did you know that our graphic artists also handle logo design for Georgia companies? Signs for Reception Areas: Does Your Sign Brand Your Business? Does your brand strategy include the design of your lobby signage? Industry insiders know that signs for reception areas in Georgia businesses can be instrumental in the way that a client or customer perceives a brand and distinguishes it from others. Some have called the branding process a promise. Although this is most certainly a valid consideration, we recognize that the reception sign goes beyond the promise. Indeed, it is a process of communication that leverages your logo’s impression and lettering’s font to define your company’s approach to doing business. Managing an apartment community requires a good deal of communication. Whether you maintain an onsite office, are available only online, or staff a phone for inquiries during business hours, consider that apartment community amenity signs for Georgia locations answer many of the questions that your tenants might have. What are your options? When you use vehicle graphics in Georgia, you add a mobile marketing facet to your advertising tools. If you are still on the fence whether this is a good option for your particular business or field, consider the benefit of putting your branding and marketing messages on the company’s vehicles. 6 Apartment Commmunity Signs You Can't Do Without! 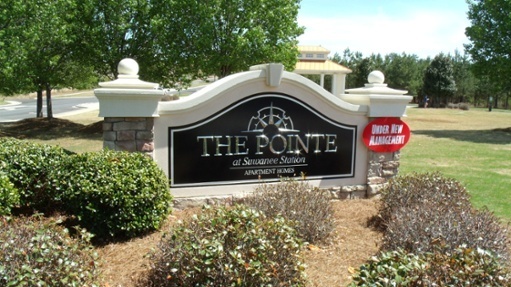 Did you know that there are six apartment community signs for Georgia property managers or owners that are vital in maintaining a happily filled status? Interestingly, they do not all advertise current or future vacancies. Do you know what they are?